India's economic growth will remain in the range of 6.5-7.5 per cent over the next 12-18 months and GST will support the momentum for faster growth, a Moody's poll has said. More than 75 per cent respondents said exposure to large corporates in power, steel and infrastructure sectors poses the greatest risk to banks' asset quality in India. Over 200 market participants, polled by Moody's and its affiliate ICRA, were confident of India's stable economic growth prospects. "India's GDP growth rate will remain in the range of 6.5 -7.5 per cent over the next 12-18 months, according to more than 60 per cent of the respondents," Moody's said in a statement. The view is in keeping with signs of economic recovery after the short-term negative impact of demonetisation. According to the estimates of the US-based agency, the economy will grow 7.5 per cent in 2016-17 and 7.7 per cent in 2017-18. 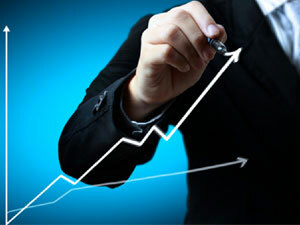 Moody's believes that economic growth will gradually accelerate to around 8 per cent over the next 3-4 years. "Given economic and institutional reforms in India and further changes that could follow, India will likely grow faster than similarly rated peers over the next 12-18 months despite a short-term drag caused by demonetisation," Moody's associate managing director Marie Diron said. While the respondents believed that introduction of the Goods and Services Tax (GST) will support faster growth in the next 12-18 months, they were split on how much of a growth boost the tax reform will provide. The poll found that asset quality risks linger for banks and credit growth will remain subdued. "More than 75 per cent of the respondents agreed that exposure to large corporates in power, steel and infrastructure sectors will continue to be the greatest risk to the asset quality of Indian banks," it stated.